In 1992, celebrated novelist Ann Patchett launched her remarkable career with the publication of her debut novel, The Patron Saint of Liars, a best-selling book that is "beautifully written . . . a first novel that second- and third-time novelists would envy for its grace, insight, and compassion" (Boston Herald). St. Elizabeth’s, a home for unwed mothers in Habit, Kentucky, usually harbors its residents for only a little while. Not so Rose Clinton, a beautiful, mysterious woman who comes to the home pregnant but not unwed, and stays. She plans to give up her child, thinking she cannot be the mother it needs. But when Cecilia is born, Rose makes a place for herself and her daughter amid St. Elizabeth’s extended family of nuns and an ever-changing collection of pregnant teenage girls. Rose’s past won’t be kept away, though, even by St. Elizabeth’s; she cannot remain untouched by what she has left behind, even as she cannot change who she has become in the leaving. 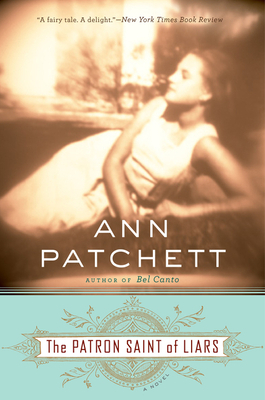 ANN PATCHETT is the author of seven novels: The Patron Saint of Liars, Taft, The Magician’s Assistant, Bel Canto, Run, State of Wonder, and Commonwealth. She was the editor of The Best American Short Stories 2006, and has written three books of nonfiction–Truth & Beauty, about her friendship with the writer Lucy Grealy, What Now? an expansion of her graduation address at Sarah Lawrence College, and This is the Story of a Happy Marriage, a collection of essays examining the theme of commitment.